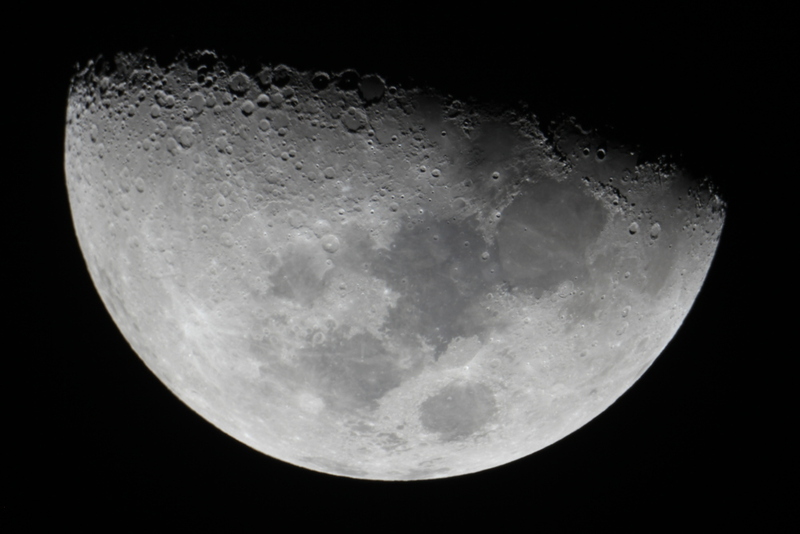 The Moon will look like this through our telescopes - a half-Moon. 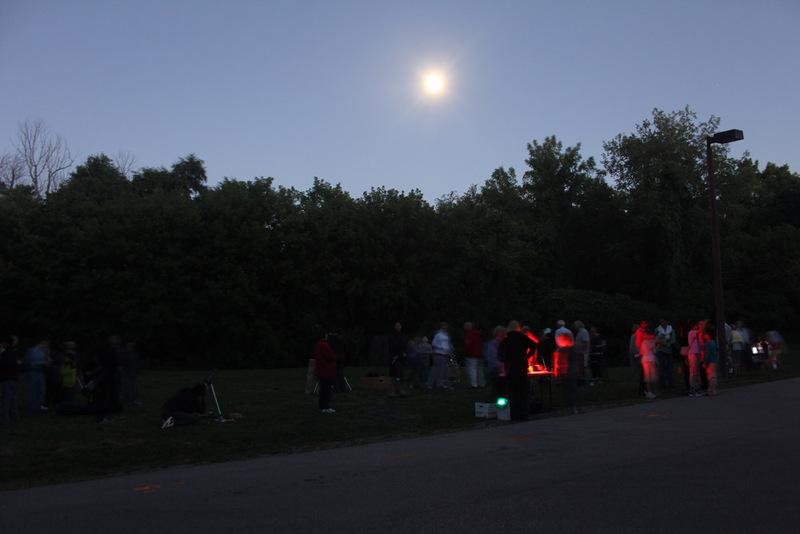 The event starts at dusk is free and open to everyone. Large telescopes will be set up and pointed at the Moon, the planets Jupiter, Mars and Saturn and other objects beyond our solar system. Views of Saturn like this should be a highlight of the evening. Note: If the weather is cloudy, the observing will be delayed one day. Check this web site for GO/NO GO information on the afternoon of the May 6th.